Many people would argue that one of the biggest reasons Americans lose sleep is digital distractions. We have all been there—with a couple of taps, we are fully engrossed in social media feeds, news articles, or YouTube videos. Because of this, sleep experts and doctors recommend keeping devices out of the bedroom in order to let your mind and body get its necessary rest, but now there are a number of apps available for both Android and iOS operating systems that actually help with sleep. It’s no secret that many adults don’t get enough sleep. Whether that’s is due to distractions, stress, or a medical condition, we all need to aim for the correct quantity and quality of sleep. Not getting proper rest can lead to weight gain, hypertension, hormone disfunction, a weakened immune system, an increased risk of heart disease, and the inability to think clearly or make decisions. On the other hand, achieving restful sleep can have an incredibly positive effect on your health— your memory improves, your emotional and mental health is balanced, you can think logically, your hormones function properly, and your body is able to heal quickly. Because of sleep’s influence on overall health, it must be a priority. The general rule is to aim for 7 to 9 hours of sleep each and every night, although that may vary based on the individual. To find out how much sleep you need, keep track of how much sleep you get in correlation to how tired you feel the next day. Part of making sleep a priority is living a healthy lifestyle and maintaining good sleep habits. Your body will have an easier time falling and staying asleep when you exercise, eat right, and generally take care of yourself. It is equally important to go to bed and wake up at the same times each day, make sure your bedroom is calm, cool, silent, and dark, and do relaxing activities before bed like taking a bath or shower, reading, writing in a journal, drinking herbal tea, or meditating. Using a sleep app may be the perfect addition to your sleep routine, too. Function | The sleep apps on the market can perform a variety of functions that help users fall asleep, stay asleep, or monitor their sleep. More specifically, sleep apps can track your sleep cycles, play peaceful sounds, maintain your sleep schedule, or guide you in meditation or hypnosis. Generally, each sleep app specializes in one or two of those functions. Depending on the app’s function, it may need to run all night while you sleep or just when you go to bed or wake up. 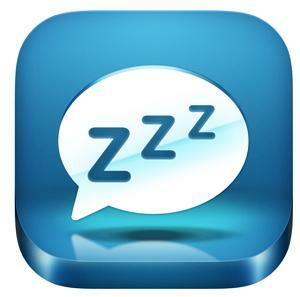 Additionally, many sleep apps can be used by themselves, while others can link to different apps or devices (i.e. 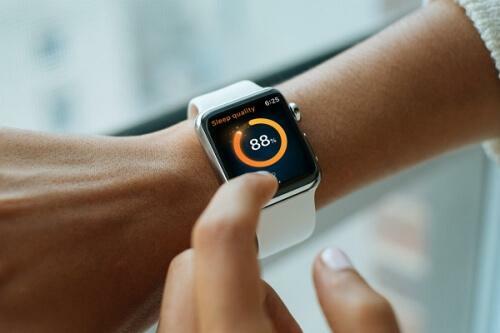 smart watch) that gather relevant data pertaining to your heart rate, movement, and sleep cycles. 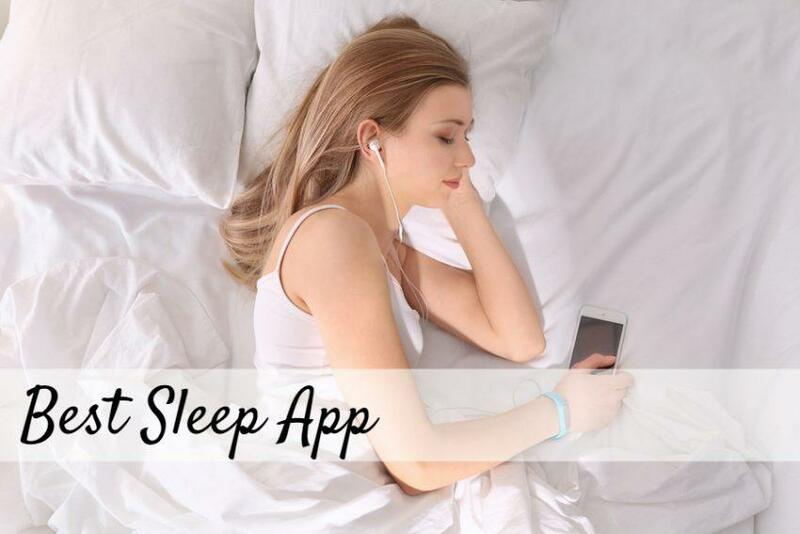 Cost | As with all apps, certain sleep apps are free to download and free to use, others are free to download and require a subscription, and others have a fixed cost to download. Oftentimes, paid apps also have a free version with limited functionality or a free trial period. Paid apps typically have more advanced or complex functionality, but depending on your needs, the free apps could provide all the functionality necessary. Consider what features would help you and how often you plan to use the app in your cost-benefit analysis. What Are The Top 10 Sleep Apps? Here is a summary of the top ten sleep applications, each offering a unique combination of desirable features. All of the products are highly rated, sleep tested, and compatible with both iOS and Android operating systems. 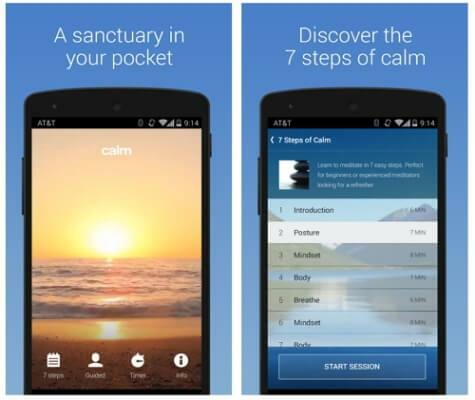 The Calm app’s main functions are to guide users in meditation and to help them sleep. There are a number of meditation programs available on demand that promote mindfulness, relieve anxiety, and induce relaxation, but the feature that is most unique is Sleep Stories. Sleep Stories are described as relaxing tales on a variety of topics that help users fall asleep, similar to reading a child a bedtime story. 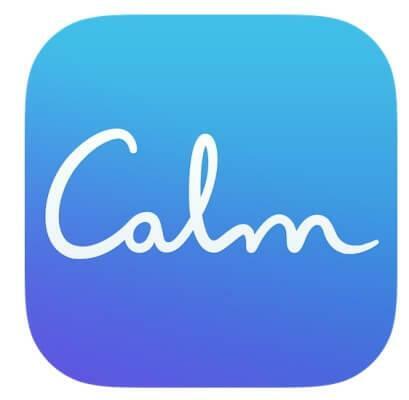 The Calm app is free to download, and the premium functionality is available by subscription: monthly ($12.99/month), yearly ($59.99/year), and lifetime ($299.99). Without a subscription, users can download the app and access a small number of meditation sessions and Sleep Stories. The Sleep Cycle app is described as an intelligent alarm clock—it tracks your sleep cycles using sound analysis to determine when to wake you up. Sound analysis is able to detect movement and vibration, which allows the app to pinpoint each sleep phase and wakes you up when you are in a light sleep. The science behind this is that waking up when in a light sleep as opposed to a deep sleep will allow you to feel more rested and energetic. This app simply needs to be set before bed and placed near you while sleeping. The Sleep Cycle app is free to download and offers a free version as well as a paid version with a 1-month free trial and $29.99 per year after that. The Relax Melodies app is designed to use soothing sounds and meditation to allow users to fall asleep easily. Users can create their own melody mixes which can promote emotional wellbeing (stress and anxiety relief) and sleep. Mixes can be borrowed from the community or customized from over 100 different sounds and melodies. 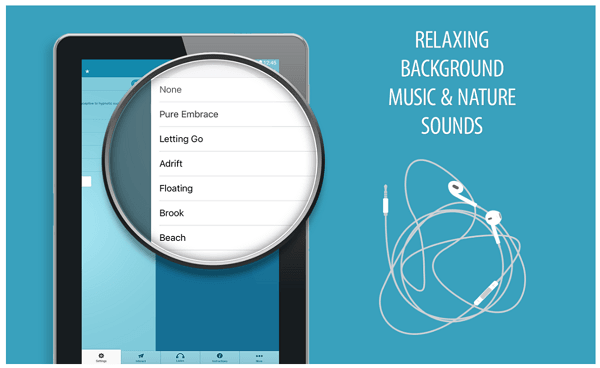 The Relax Melodies app is free to download and offers in-app subscription purchases. The free version allows users to create mixes from a limited number of sounds and does not include the meditation feature. Upgrading to the pro version gives users access to all sounds and meditations for $4.99 per month, $19.99 per year, or $99.99 for a lifetime subscription. 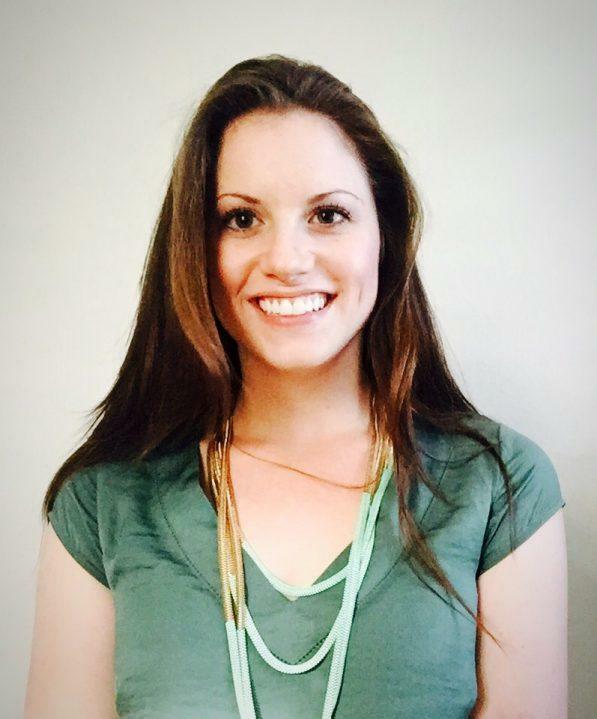 The Headspace app helps users achieve restful sleep through meditation and sleep sounds. The app provides a number of guided meditations and mindfulness techniques that reframe stress and allow users to drift off to sleep. There are a variety of sessions available including daily meditations, Mindful Minutes, mini meditations, mindfulness exercises, and “SOS” sessions for times of high anxiety. There is also a Sleep Sounds portion of the app that produces feelings of relaxation. Headspace is free to download and offers three subscription options: $12.99 per month, $94.99 per year, or $399.99 for a lifetime subscription. The Sleep Well app uses hypnosis to lull its users into restful sleep experiences. Hypnosis can help to retrain your brain and body to fall and stay asleep while easing anxiety and stress. The app offers audio hypnosis recorded by certified hypnotherapists as well as a Sleep Booster feature which plays beats that correspond with the brainwave frequency linked to deep sleep. 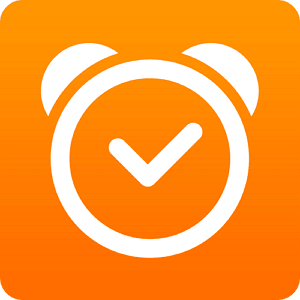 The features of this app can be used before bed or on a loop while you sleep. 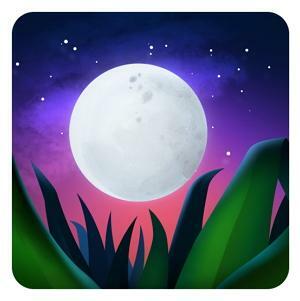 The Sleep Well app is free to download and offers a one-time, in-app purchase for $3.99 which enables special features like Sleep Booster. The free version of the app allows you to listen to the hypnosis session with soothing background music. 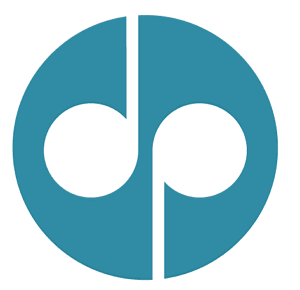 The unique concept behind Digipill is to use psychoacoustics, or audio “pills”, to change your perception. These “digital pills” are essentially the treatment you are prescribed based on whatever aspect of your life you are trying to improve or change, including how well you sleep. Some pills are hypnotic, and others more closely resemble meditation, but all pills on this app have been developed by a registered psychotherapist. The Digipill app is free to download and includes one complimentary pill; other pills are available to purchase individually, or you can have access to all pills with a monthly subscription costing $4.99 or a yearly subscription costing $19.99. The Pzizz app also makes use of psychoacoustics to help users fall asleep fast and stay asleep all night. Pzizz offers audio tracks, called “dreamscapes”, which are a combination of soothing music and sounds with sleep-inducing voiceovers. The app provides a new dreamscape each night, and they are minimally customizable. There are also dreamscapes designed specifically for taking power naps during the day. Pzizz is free to download and offers both a “Classic” version, which is free and includes a limited number of audio tracks, and a “Pro” version, which has a 7-day trial followed by a subscription purchase. The three subscription options are monthly for $9.99, yearly for $99.99, and three years for $179.99. The White Noise app is essentially a sophisticated sound machine that helps block out distractions and lulls you to sleep. The app offers over 40 sounds including city streets, crickets chirping, ocean waves, water falls, and many more. You also have the ability to mix and record your own sounds, or download more from the White Noise Market. White noise also has clock and alarm features. 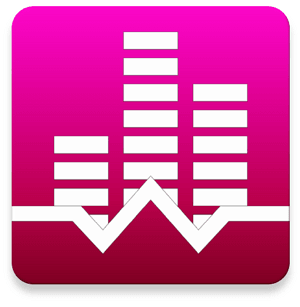 There are two versions of this app: White Noise, which $0.99 to download, and White Noise Lite, which is free. The paid version eliminates ads from the app. Sleep Time is a combination sleep analysis and alarm clock app—it tracks your sleep cycles and wakes you up within a 30-minute window of light sleep using soothing soundscapes. You may also add notes to your sleep diary that could impact the quality of your sleep, like whether or not you ate, drank alcohol, or exercised before bed, or if you are traveling and not in your own bed. Sleep Time is free to download and offers 2 subscription options of $9.99 per month or $29.99 per year. The paid version provides access to all soundscapes, as well as sleep programs and more detailed sleep analysis. Although this doesn’t refer to one app specifically, any app that plays podcasts could be just as useful in helping you sleep as any of the apps above. 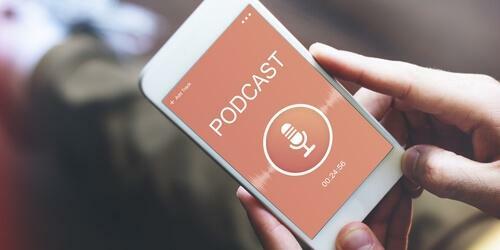 Using the same concept as a bedtime story, listening to a podcast can free your mind of any stress or anxieties that could be preventing sleep by drawing all of your attention to what the speakers are saying. A podcast that is humorous or story-based can relax your brain and body and help you drift off to sleep. Use a podcast app with a sleep timer feature to ensure that the audio doesn’t wake you once you’ve fallen asleep. What Else Should You Consider When Using And Downloading Sleep Apps? If you plan on trying a sleep app, consider the functionality that would improve your sleep the most. Since there are different types of sleep apps available, it is important to first evaluate your sleep habits and any concerns you have about the quantity and quality of the sleep you are getting in order to determine which app fits you. In other words, why use a meditation app when all you really need is an alarm to keep you on schedule? Lastly, using a sleep app takes self-discipline. As mentioned earlier, a device in the bedroom usually distracts people from sleeping, but it doesn’t have to be that way. Making sleep your priority at bedtime, not mindless scrolling, is the first step to breaking the digital distraction habit. Sleep apps can serve as the perfect addition to your existing sleep routines or they can help you get your sleep habits back on track; they can also help you monitor and improve the quality of your sleep. However, it is important to remember that sleep apps should be viewed as tools that can help you meet your sleep goals and track your sleep patterns, not cure chronic sleeplessness or insomnia. For more serious cases of insomnia, consult a doctor for the best course of action.